Before I dive into this follow-up post, I wanted to share with you this sunrise that I enjoyed the other morning. Brisbane has been blessed with some stunning winter weather at the moment. It’s making me dislike the cold less. As promised, this is the breakdown of my personal bullet journal. I’m going to make a confession: I haven’t been using the bullet journal system in my personal life for a few months now. Phew. Glad I got that off my chest. I’ve been bogged down in work-related tasks that my personal life has been left in some disarray. Well, I’ve relied solely in digitising my personal organisation, simply because I’m constantly attached to my iPhone. I restarted my bullet journal mid-June, and I’m making a conscious effort to go back to pen and paper. 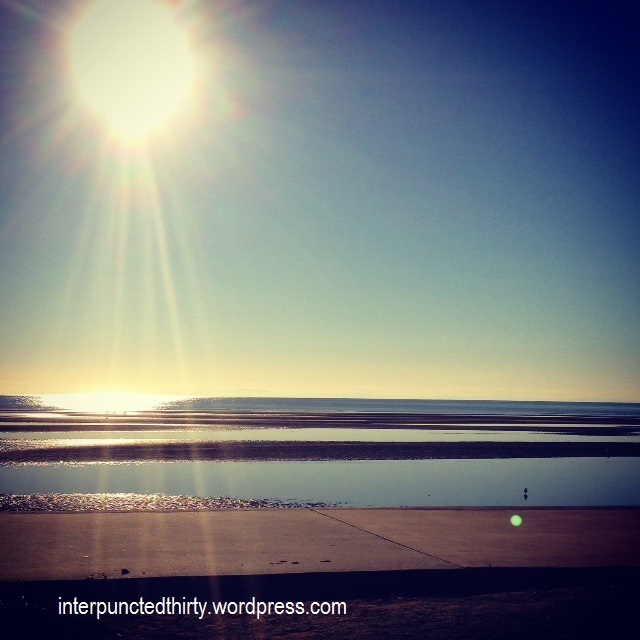 I realised that analogue forces me to slow down, which is definitely what I need. It also helps my poor old dying memory and aids in disconnecting from media. Anyhoo, I’ve made some modifications in my bullet journal key. 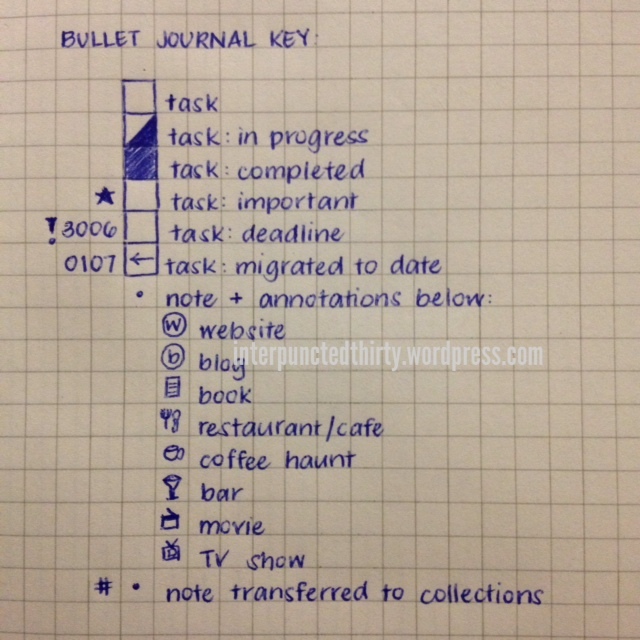 I’ve seen a few posts on social media sites of people using my bullet journal key. It’s certainly very flattering to know that people have adopted it to their planning and organisation. 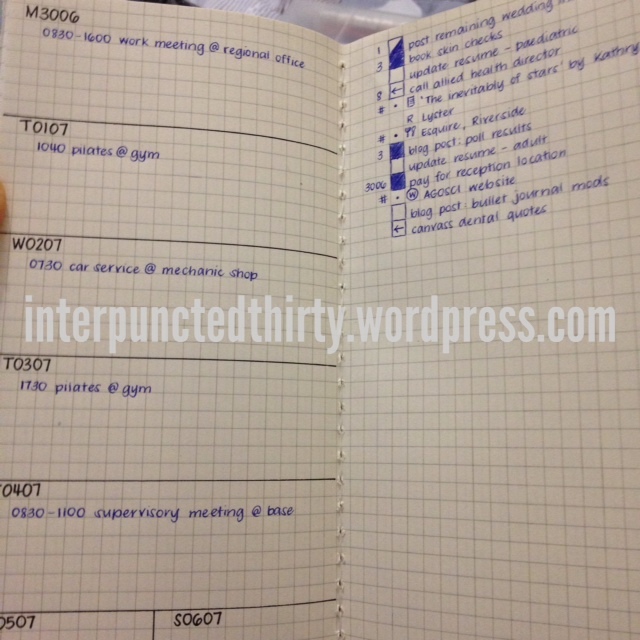 I’ve also seen a few posts/pins of my habit/chore tracking, too, which is nice. I’ve also realised that I can’t stop people from using my ideas and claiming it as their own. Unfortunately, it’s one fo those irritating/frustrating quibbles of the internet. I’m a fairly reserved person, and in a past life, I can also be very nasty if you piss me off, but luckily, I’m beyond that now. So I’m only going to say this here once and go back to my quiet life: I enjoy sharing my ideas, and I’m fully aware that bullet journalling is the brain child of Ryder Carroll. I’m not discouraging readers to stop sharing my ideas, but just please acknowledge that it is my idea when you repost/repin, even if you reproduce the key in your own handwriting in your own bullet journal system. That’s all I’m going to say about that. Where was I? Oh yes, my bullet journal modifications. I mentioned in the ‘you asked for it‘ post that I’m now using the TDW (aka a version of the MTN). 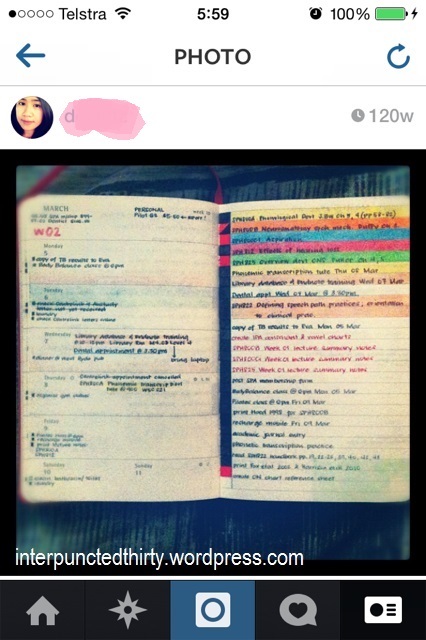 I was trawling through my Instagram feed back in June and came across a photo of my pocket Moleskine planner in 2012, so I took a screenshot of it. I remember taking this picture and realising that my planning system prior to my masters degree just wasn’t going to be good enough to withstand the deluge of research and clinical work. 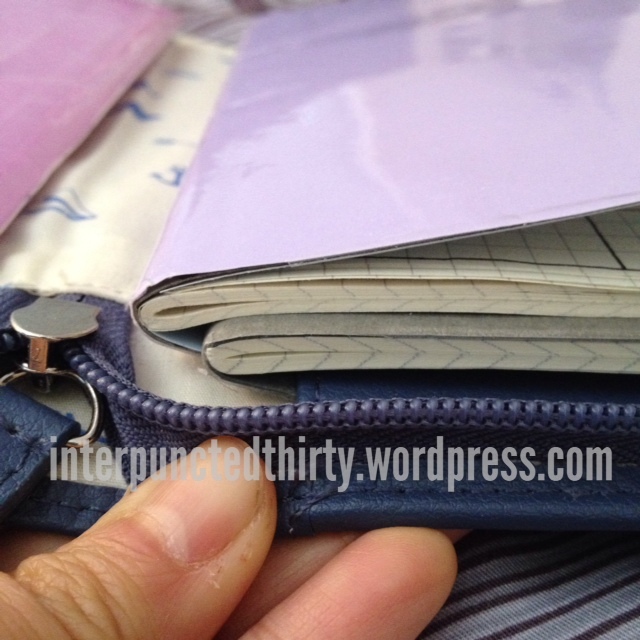 It was probably a month after this picture was taken when I ditched the pocket Moleskine 18-month planner that I had been purchasing religiously for 4 years. I discovered the bullet journal during the last 6 months of my degree, and it literally saved my a@#$! Tasks remain the same, and I’ve placed the arrow in the box for migrated tasks. I’ve also made annotations for my notes (i.e. icons), which are self-explanatory in the picture. The new addition is the hashtag. I hope this post has been useful and I’d love to hear from the community how they are going with their bullet journal systems.